Well, times have changed and as I continued this ultimate goal of a state wide guide and revisited the areas time and time again, I was often astounded by the growing numbers, and the changing attitudes of those boulderers I encountered. Most seemed very friendly, having fun in the great outdoors, but I also noticed a change, especially within the last decade of a new breed of boulderer, somewhat territorial, and upon further conversation, somewhat disrespectful to, or oblivious to, their predecessors. When recording and cross checking these areas with the present day influx of activity, I would often ask a person or persons what they now call any given boulder. The response, in the more recently popular areas, for example, I would say what do you call this nice piece of apparatus, referring to the boulder being climbed upon, and one would respond that it is called Dale's Boulder, another would say no, it's called Lynn's Block, I then would refer to an online blog, magazine, etc. and it was stated as Boulder D, in my own ancient documentation we called it Ambiguous Block, at that point I had to decipher what it should be named and finalize it for the project. By the way, I believe in Bouldering Colorado, it is truly a work of art, and is and asset and educational tool that the climbing community should embrace. Well if by work of art, you mean creativity, then fair enough. However a guidebook should reflect the consensus, not a personal vision at this point. I admit that I am amused by the reference to a "nice piece of apparatus". Such archaic language might explain Horan's relationship to the current scene. Somewhat more puzzling is Max Phelps' reaction, presumably an editor at Falcon"
I sense that Falcon is pretty worried here. It seems to me they weren't counting on publishing an idiosyncratic, error-riddled book and the problem of how to "encourage knowledgeable climbers to take it out for a test drive" at 50 dollars a copy is rearing its ugly head. I would certainly encourage readers to call Max Phelps and let him know what the issues are. There is little cause for celebration in this case, especially when the main problems could have been headed off by a simple peer review. If that had happened, the errors would probably have been minimal in both number and scope. The chances of errors being corrected in a reprint are slim as I doubt this will ever see a second edition. 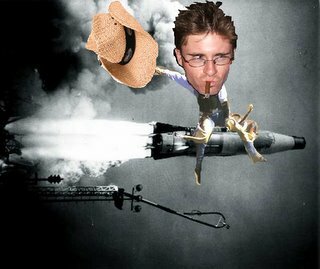 I will be calling Max Phelps and proposing he offer to send out free review copies to local climbers to "test drive". Granted this is not on the scale of recent political and financial developments but a funny kind of parallel is going on. The lack of solid oversight and maintenance of high standards has resulted in an erosion of trust among the public. As I have said before, Falcon needs to admit their responsibility and withdraw the book and start over. That might be the most constructive thing to do at this point. P.S. Thanks to Jamie for pointing me to the Falcon "blog"
I did talk with Max Phelps this morning and he offered to send a review copy. I will be looking over the book closely and forwarding my comments as well as suggesting other reviewers to contact for information. I agree. It seems strange that Bob is not addressing the main problem with the book. You can argue about who named what boulder when, but he still hasn't stated why he thinks it is OK to include details for climbing on private property. I have seen the book and reviewed it briefly. To say this book is riddled with errors is an understatement on the grandest of scales. 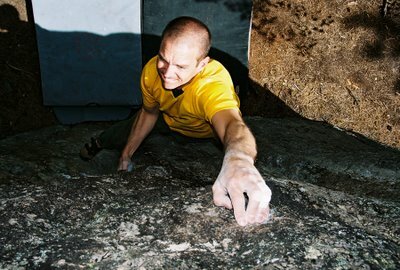 His defensive statements about bouldering at the areas around Mount Evans might lead the uninformed to believe he actually did some of THE problems. Helping Bob or Falcon improve this book is not somthing I can condone. Possibly assisting Fred and Philip with their book is something I can live with. No book is perfect, but there are errors of every shape and kind (if not multiple errors) on EVERY page of that stupid guide. I should also add that my conversation this morning with Max Phelps was very cordial. I suspect that Falcon trusted Bob with this one and that they are now trying to figure out what to do next. Interestingly Max mentioned that John Gill spoke favorably of the guide. With all due respect to John Gill, he might not have been the best choice for endorsing the project. Regarding the Neptune event, I will simply not go. I feel this book is not something worth making a public scene about at this point. Letting Neptune know about the problems with the book seems appropriate but confronting Bob is not going to solve anything. "Thanks so much for divulging the information that you and your crew have kept somewhat seclusive for so long. I find it interesting, how on your website, B3, you describe your finding these pristine gems of rock and your modus operendi for setting your course upon them. Sounds like a real" leave no trace" agenda. Your record of state of the art ascents has been obvious to me as I watched the boulders change over the years. 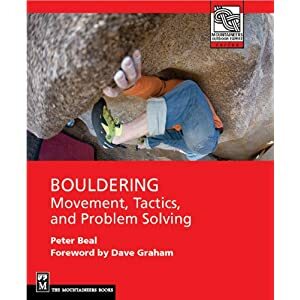 Ten years ago, when you were just starting out on your bouldering quest, I was finishing the manuscript for my 5th bouldering guide better know as "Best of Boulder Bouldering". When I complied the info for Mount Evans and Rocky Mountain, I chose to keep the descriptions brief, and expose very little in comparison to what I could tell had been done, or that you claim to have developed. When editing the manuscript which was much larger at the time their were a few discrepencies and it is obvious to those of us you know the areas. I find them quite minor and will not affect you state of the arters, and certainly not affect those new learners who could careless about the elitist boulderer. Also Mr. B3 makes many false claims as to what transpired when I met the NC3 up at Mount Evans, I had said that we sent the manuscript to the rangers at Rocky Mountain National Park, which we did and it was okayed. I also told the NC3 that the book had been sent to be printed back in May, Mr. NC3 deceived the rangers at Mount Evans saying that it had not yet been printed. B3's comments sound more on the verge of maniac and his righteous claims of who and what makes a good guide book ambiguous. Maybe he should write a book since he is so knowing of how they should be done." I think I would be hesitant in working with such a writer if I were a book editor/publisher and not just because of the spelling errors. though a moot point now, i'd like to point out that i listened to every word of the calm exchanges between cameron and bob at evans that day. bob had clearly said that he had received an ok from the evans rangers, which is certainly false. after bob's reaction to concerns over his guide, i certainly will not volunteer information to him or falcon to fix the errors without compensation, which itself could be donated to the access fund or similar. they burn bridges, then ask for handouts; i laugh, then say no. if the errors and omissions are minor, i certainly will enter the field of guidebook authorship. the flatirons: go up there, see some chalk, those are the problems, enjoy! that's where the bar is set and i can handle it. oops, forgot the 85 photos of myself for that section! I reviewed the book in detail the other day at Neptune's. The turds that work there couldn't figure out why I was laughing so much. I am still waiting for a review copy and will give my thoughts on the book. A posting on Allclimbing.com gives some perspective on the book signing.